Pristina in Kosovo is the perfect city for visitors spending a day or two, but what to see in Pristina? This guide to the Pristina tourist attractions will help you plan your time. The central Pristina tourist attractions can all be reached on foot, and there is a lovely mix of art and culture. The varied architecture is the main attraction in Pristina though. From centuries old Mosques through to weirdly designed public buildings, it blends past and present. It also reveals perhaps just a hint of the future. Kosovo is not exactly one of the busiest tourist destinations in the Balkans. There are plenty of things to see in Pristina (the capital), to keep even the most active visitor occupied for a day or three however. This list of the main Pristina tourist attractions focuses on places that can be found in the central city area. They can all be reached easily on foot. Squeeze them all into one day of sightseeing in Pristina, or spread them out over several depending on how much time you have there. 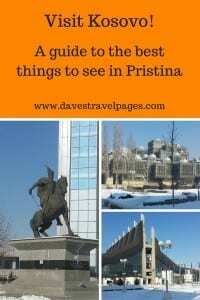 For more information on Kosovo, you might like to check out my Pristina Tourism Guide part 1. This monument was unveiled on February 17th, 2008, which was the date that Kosovo declared independence from Serbia. Obviously, it is symbolic of independence and the birth of a new nation. The intention is to repaint it every year on the 17th of February, so it might not look exactly like this if you are planning a trip to Kosovo. This is a good starting point for a walking tour of the city that would take in all the main Pristina tourist attractions. 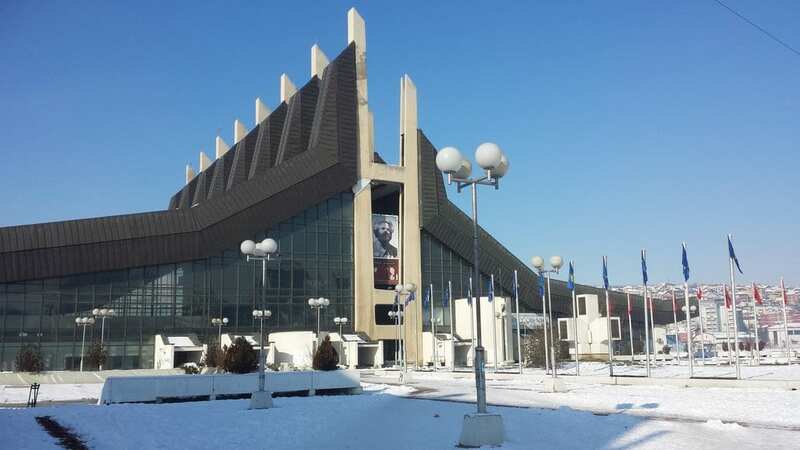 Located nearby to the Newborn Monument, the Palace of Youth and Sport has a very curious design. 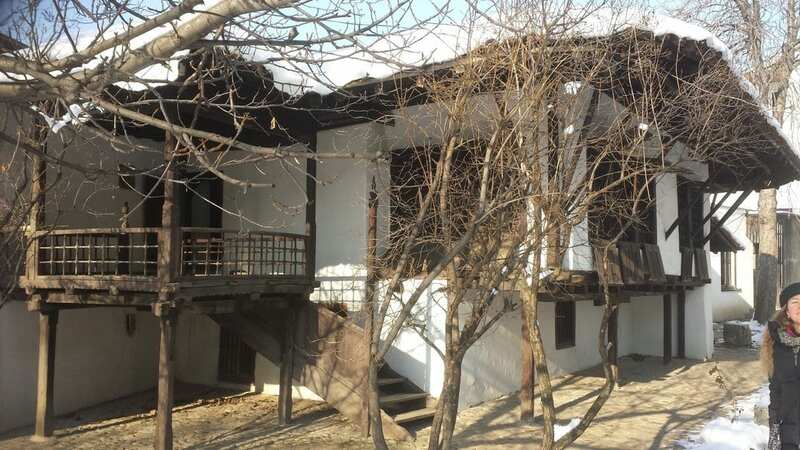 It is also greatly important to the older citizens of Pristina, as for a time, they had to donate half of their income to build it. This pedestrianised area pretty much marks the centre of the city. It starts at the Grand Hotel, and finishes more or less at the old Union Hotel building. Don't expect to find a hotel here though. It has since been converted into a Benetton Store, which is a massive shame. 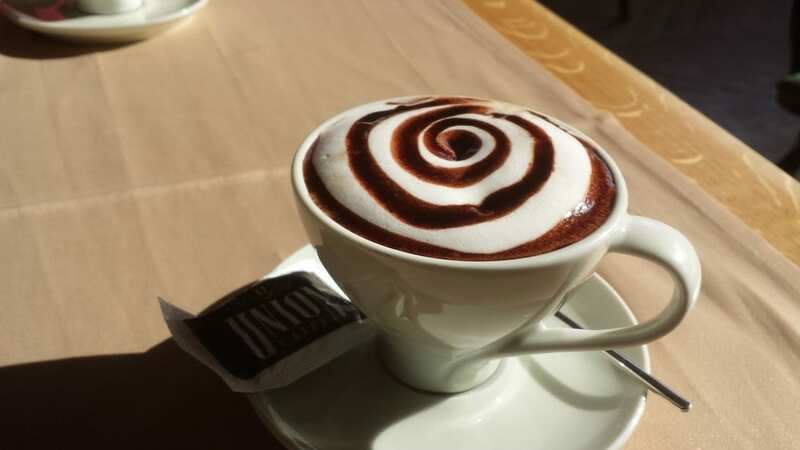 There is a nice coffee place behind the store however. This was definitely needed on a cold, January day! This is one of the weirdest looking buildings in Europe. A mix of domes and cubes covered in what looks like chain mail! I have to say, it looked quite awesome on a snowy day. It was only after I returned back home to Athens, I realised I had seen a similar building back in England a few years ago. As coincidence (?) would have it, this was also a library. – The Library of Birmingham. 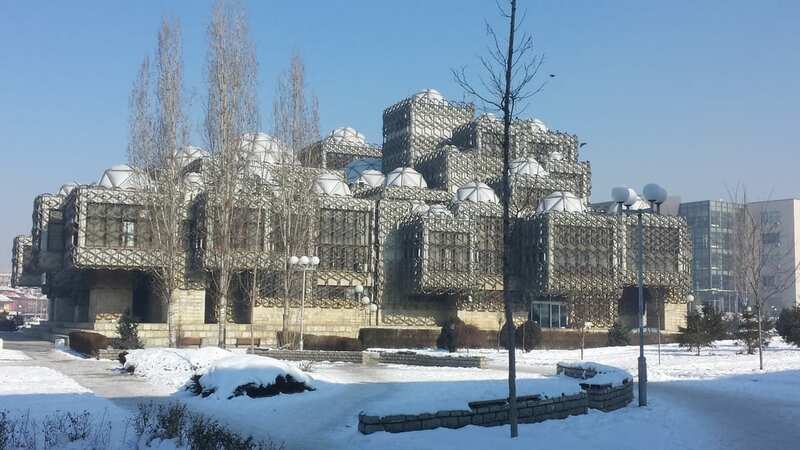 The National Library of Kosovo is perhaps the only ‘must see' of the Pristina Tourist Attractions. This is another significant building, which was refurbished after being bombed during the 1999 Kosovo War. I have concentrated on the statue in front though. 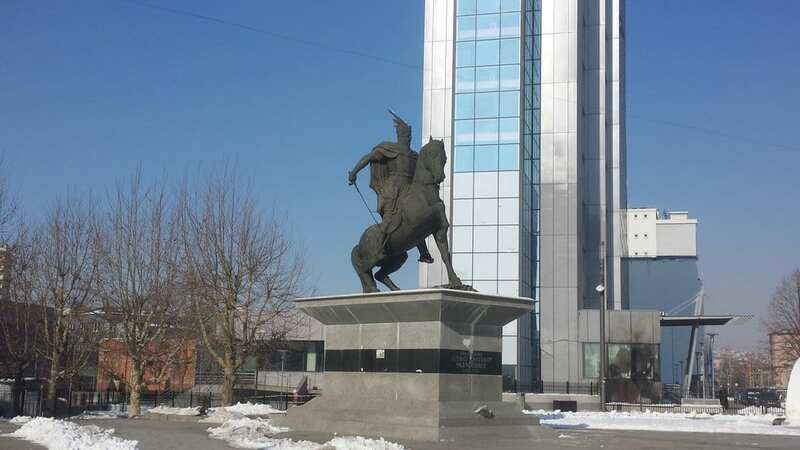 This is Skanderbeg, the Albanian national hero. There is no escaping this guy when travelling through this part of the Balkans! On a more serious note, there is a growing concept of a ‘Greater Albania', which is basically the idea of a homeland founded on the historical and current Albanian population presence. After travelling through the region, I can understand the logic and desire behind the concept. 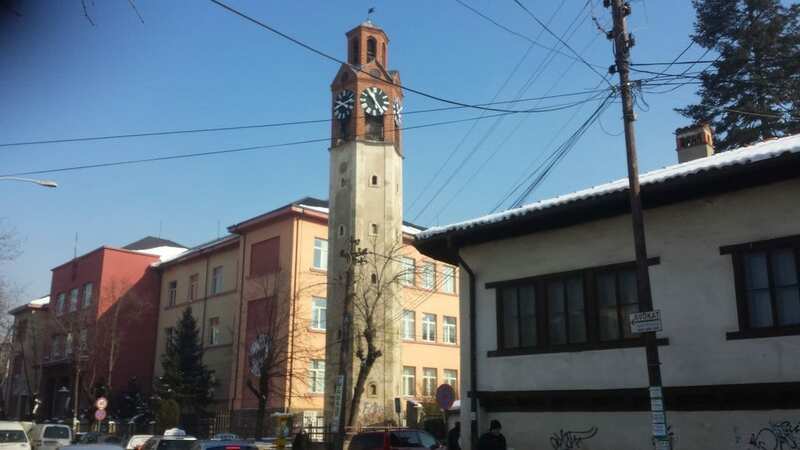 The 19th century clock tower is a useful landmark for when wandering around the older, Ottoman part of the city. You may be able to find someone who will let you climb up to the top for a few coins. There are of course plenty of other places to visit, and buildings to see which I haven't listed here. Travelling should be a bit of an adventure after all. You don't want me to do all the hard work for you now, do you?! If you are planning a trip to Kosovo and would like to find out more about what to see in Pristina, or if you have read this and can't BELIEVE I have missed something off, please leave a comment below. I love hearing from you all! That’s a great resource for people planning a trip to Pristina. Thanks for including the link! It’s interesting to see this as a tourist destination. I still would’ve associated it with its troublesome past.